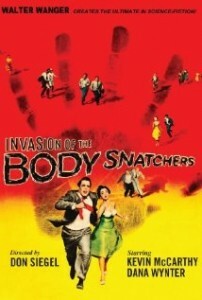 Do you remember that creepy movie Invasion of the Body Snatchers? Some kind of alien bug invades earth and takes over people’s bodies replacing them with soul-less replicas. The horrible thing about the film is that the aliens are not huge hybrid insectoid lobster monsters, but just as ordinary as the guy and girl next door. This image came to me when contemplating the kind of heretics we experience in the church today. I recently finished Dr Marcellino D’Ambrosio’s When the Church Was Young (which is an excellent, readable study of the fathers of the church) The value of his book is that he not only discusses the formal heresies of the day and what they meant theologically, but he also explains the cultural milieu of the time. What interested me about the Arian controversy was that Arianism was the preferred heresy of the elite. As a reminder, the formal Arian heresy was the belief that Jesus Christ was not God incarnate, but a created being. This was held by the leading bishops of the day, the emperor and his mother and all the top people of the church and state. In other words, it was held by the respectable people. It was the sort of religion you would make up if you were making up a religion. It played down the stupendous and the supernatural in favor of a “believable” Christianity–a religion of good works, being nice and making the world a better place. Do you see where I’m going with this? Arianism is rife in our church today. The only difference is that the present day Arians don’t declare their heresy formally for the most part. If you dig into the theological writings of the liberal Christians you’ll find that they do in fact deny the incarnation, but they do so in a sneaky way with circumlocution and silence on certain matters that speaks volumes. American Christianity: Moralistic Therapeutic Deism?